Eastern junior Kelsey Casto drives the ball during game two of the Lady Eagles’ doubleheader sweep of South Gallia on Wednesday night in Mercerville, Ohio. 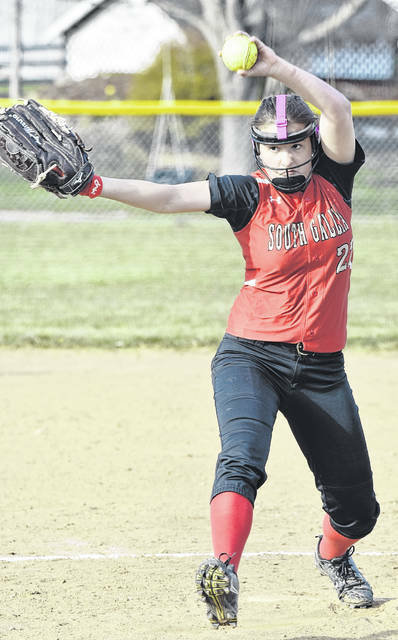 South Gallia freshman Makayla Waugh (22) delivers a pitch during game two of the Lady Eagles’ doubleheader sweep of the Lady Rebels on Wednesday night in Mercerville, Ohio. MERCERVILLE, Ohio — The Lady Eagles continue to soar. 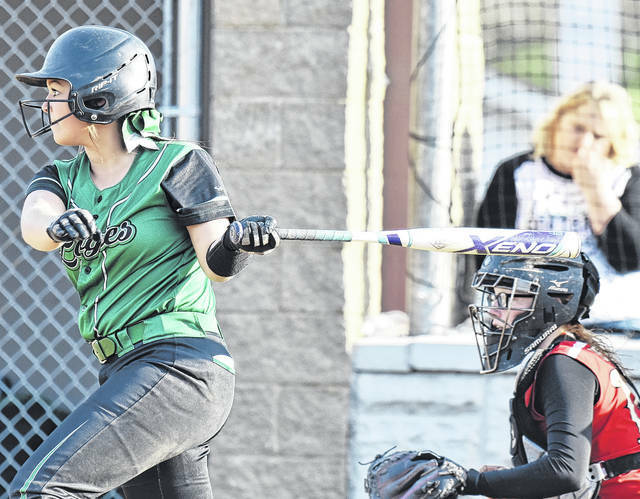 The Eastern softball team combined to score 33 runs to earn a doubleheader sweep against Tri-Valley Conference Hocking Division host South Gallia on Wednesday night in Gallia County. The Lady Eagles (5-1, 4-1 TVC Hocking) earned a 19-0 victory in game one followed by a 14-4 win in the second contest. South Gallia (2-3, 1-2) was held to one hit and committed eight errors in the opener, as the visitors collected 16 safeties and had three fielding miscues. EHS soared to an 6-0 lead in the top of the second inning, as Emmalea Durst led off with a triple and scored when Tessa Rockhold followed with a sacrifice. The Lady Eagles came by way of sending nine hitters to the plate in the frame and collecting three extra base hits, a walk and two errors. Eastern furthered its in the top of the third, as they sent 14 hitters to the plate and collected 10 runs on nine hits to extend their advantage to 16-0. The Lady Eagles tacked on three additional runs in the top of the fourth inning to close out a 19-0 victory in the first contest. 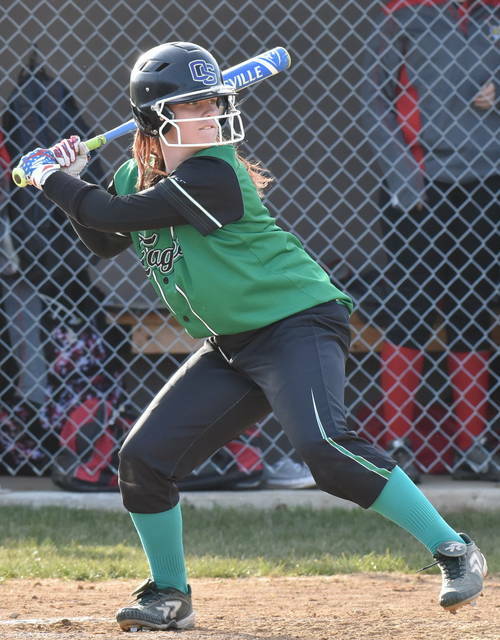 Durst helped guide EHS to victory with three hits, including a home run, and also scored three runs and drove in two. Courtney Fitzgerald also finished with three safeties and scored three times while driving in one. Sidney Cook, Ally Barber and Kelsey Casto each had two hits. Sophie Carleton, Elaina Hensley, Kelsey Roberts, and Rockhold each finished with one safety apiece to conclude the hit totals for Eastern. Hensley was the winning pitcher of record in the opener, as she allowed no runs on one hit, with three walks and five strikeouts in four innings of work. The lone hit for South Gallia was provided by Olivia Hornsby in the bottom of the third inning. In the finale, Eastern played as the home squad. South Gallia opened the game with a 3-0 lead, as Hornsby, Faith Poling and Isabella Cochran each scored runs in the top of the first inning. Eastern cut the deficit to 3-2 in the bottom half of the first, as Kennadi Rockhold led off with a single and was followed by a one out single by Cook. Both later scored on passed balls as EHS narrowed the margin to one run. The Lady Eagles took control of the game in the bottom of the second, as Casto, Rockhold, Cera Grueser, and Cook each provided a hit and a run to put EHS ahead by a score of 6-3. The Lady Rebels added a run in the top of the third inning, as Cochran reached on a single and later scored by way of a passed ball to cut the deficit to 6-4. EHS closed extended its advantage to 14-4 in the bottom of the third, as they sent 11 hitters to the plate and manufactured eight runs on five hits. SGHS failed to score in the final inning, as Eastern closed out a 10-run victory in four innings. Carleton earned the pitching win, as she allowed four runs on five hits, while striking out three hitters in three innings. Roberts led the way for the Lady Eagles with three hits, while Grueser followed with two safeties. 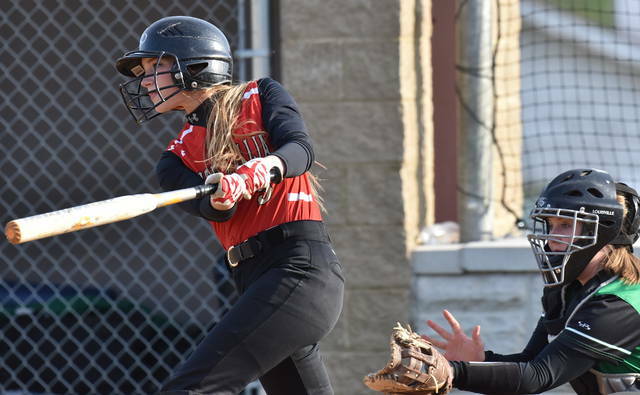 Kennadi Rockhold, Cook, Durst, Fitzgerald and Casto rounded out the hitting for EHS in the finale with one hit apiece. Cook also had two runs batted in, as Rockhold, Grueser, Durst and Roberts had one RBI apiece, respectively. Makayla Waugh took the loss for SGHS in game two, as she surrendered 14 runs on 10 hits, while allowing three walks and striking out four in three innings of work. Cochran led the Lady Rebels offensively with two hits, two runs scored and one RBI, while Hornsby, Poling and Spurlock each had one safety. Both teams return to action on Friday in Tri-Valley Conference Hocking Division contests, with South Gallia scheduled to host Wahama while Eastern welcomes Belpre at 5 p.m.